Woodlands Development Group helps build healthy, viable communities in the region by developing sustainable, affordable housing and supporting economic initiatives. WDG provides quality, energy efficient single-family housing to communities by utilizing sustainable construction practices. WDG has its own construction crew but also contracts with the Highland Community Builders construction crew, YouthBuild, and many local contractors and green service providers to complete their housing in both rural and small town settings. These homes range in size from 900 – 1,300 square feet and feature 2-3 bedrooms and 1-2 bathrooms, with Energy Star rated appliances and windows. WDG partners with The Homeownership Center, USDA Rural Development, and local real estate agencies to market its homes to qualified buyers in the region. The HOC also provides credit counseling, homebuyer education and support, and mortgage origination for lower-income families. Mortgage financing is accessed through USDA Rural Development, FAHE, and other leveraged loan products. Woodlands Development Group also builds, renovates, and owns quality multi-family rental housing. Since its inception, WDG has completed 24 units of rental housing in Randolph, Tucker, and Barbour Counties, including 6 units for the elderly and those with special needs. WDG contracts with the Randolph County Housing Authority for administration, property management, property management, and development functions. In addition, RCHA administers the Housing Choice Voucher Program for this area, which assists the low-income families renting WDG units. Please contact RCHA's Property Manager, Maggie Nelson, at 304-636-6495 x18, for more information on available rentals. For more information on the Housing Choice Voucher Program, please contact program staff at 636-6495 x10. Woodlands Development Group purchases downtown mixed-use buildings to rehab and redevelop to contribute to the revitalization of the downtowns in our service area. Woodlands also partners with property owners and local governments to redevelop other downtown buildings. Woodlands has also worked with property owners and municipalities to demolish BAD Buildings when visible buildings become unsalvageable. Woodlands Development Group and Woodlands Community Lenders are providing a combination grant/loan program for local downtown revitalization intended to revitalize area downtowns by helping building owners access capital to upgrade their properties. Several towns in Randolph, Barbour and Tucker Counties have been chosen to participate in the pilot initiative. 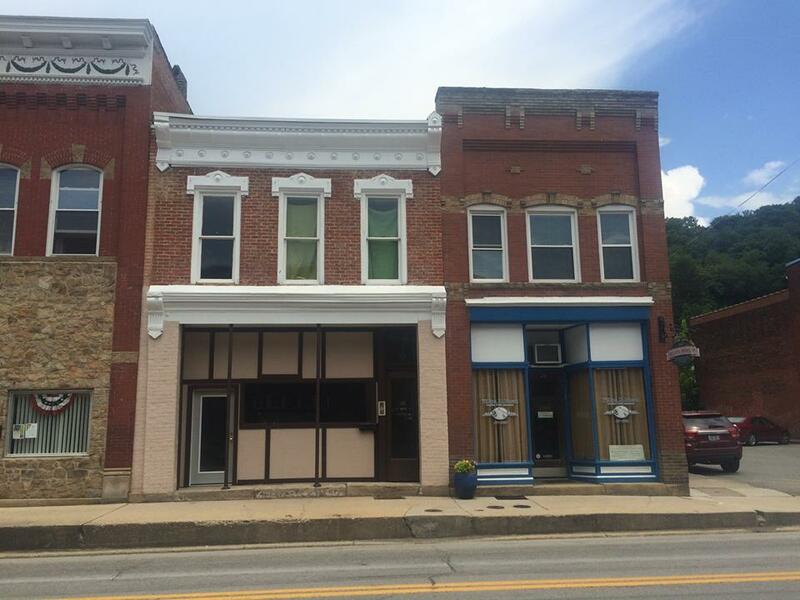 With grant funds provided by The Claude Worthington Benedum Foundation and financing capital provided by USDA Rural Development, we are offering a combination loan and grant program that qualifing building owners can access to improve their properties. Through this program, downtown building owners may be eligible for grants of up to $4,000, when accompanied by a building improvement loan from Woodlands Community Lenders. Grant funding can be used to hire architects, engineers, contractors and other building professionals for design work and building assessment. Loans of up to $100,000 are available. By providing downtown business/property owners with access to essential capital, WCL is helping invest in a strong future for north-central WV. It’s an exciting opportunity for you, your business and the community. Elkins, Beverly, Philippi, Belington, Davis, Thomas, and Parsons are the initial participating communities. Grants and loans will be distributed concurrently to qualifying building owners in these areas. Examples of activities include façade improvments, building stabilization, window & door replacements, wiring or plumbing upgrades, sprinkler system installation, HVAC systems and many others. If you have a building in need of upgrades or repair located in any of these areas and you’d like to apply for Downtown Redevelopment Financing, contact Woodlands Community Lenders at 304.636.6495 x 29, info@wclwv.org, or www.wclwv.org. Woodlands Development Group partners with grassroots groups and municipalities in small, rural communities to help them achieve their short-term and long-term goals. Most recently, WDG has been assisting the Belington Revitalization Committee in their mission to create a safe and appealing downtown environment and increasing the economic well-being of the area. Woodlands also supports the work of New Historic Thomas, Historic Beverly, Elkins Main Street, and others. Woodlands, in partnership with their community groups, has helped facilitate riverfront park redevelopment planning in both Elkins and Thomas and will continue to support their efforts through implementation. Project management and fundraising for trail planning and building in Thomas as well as AmeriCorps support for trail planning in Philippi are other examples of the community facilities work that Woodlands assists with. Woodlands also assists municipalities with city planning. Most recently, Woodlands staff helped the municipalities of Thomas and Davis form Planning Commissions and is now facilitating their comprehensive planning processes, in collaboration with the WVU Land Use and Sustainable Development Law Clinic. For more information on these projects or securing a partnership with WDG, please contact Woodlands.